The SSAA (Vic) Military Pistol Club is a sub-club of the MRC and is a Licensing Services Division approved Handgun Shooting Club. The club is affiliated with IPSC (Aust) and organises matches in IPSC, Metallic Silhouette and various ISSF centrefire and rimfire matches. The Club helps new members train and sit for their handgun safety certificates and apply for a Category H licence. You must be an active member of the Military Rifle Club for at least 6 months before you may apply to join the Military Pistol Club. 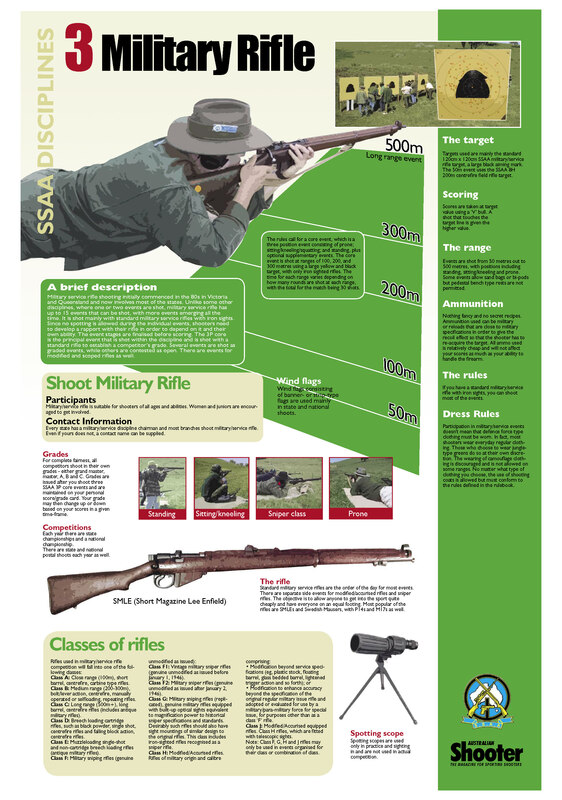 To retain membership of the Military Pistol Club, you must continue to be a member of both the SSAA and the Military Rifle Club. The core competition is the Combined Services Discipline 3-range match, which caters for many of the older military handguns and current issue handguns. Regular events are organised on the 1st and 2nd Sunday of each month at Eagle Park Range, Little River and Monday nights at SSAA Springvale range.